Initially aimed at young people living, studying and working in London, friendrequest is the new app looking to lead the way in facilitating friendship. 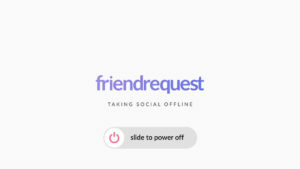 Addressing the challenge of forming actual friendships in a world of ‘social’ media, friendrequest’s aim to ‘take social offline’ emphasises the non-replaceable value of real-life rendezvous, actively encouraging users to spend less time on the app – a first for a platform of its kind. With over 8 million people calling London home, it’s a misunderstood assumption that the UK capital is an easy place to make friends, as TimeOut’s 2016 City Index survey revealed it as the loneliest city in the world. The rise of technology and social media has contributed to this isolation, reducing face-to-face interaction whilst preying on user addiction, a growing issue that friendrequest aims to reverse, starting in London. Its ‘smart’ profile card is an industry first, with tailored technology that adapts your profile depending on who is viewing it. This showcases your interests that are most closely aligned with that of the browser, helping to match you with those you share a passion with. Time spent scratching your head on how to make the perfect first impression is now a thing of the past. 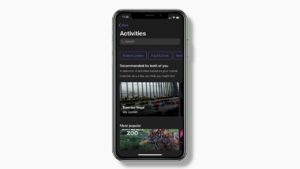 The app’s chat function features automatic ice-breakers and a curated list of activities and experiences with direct booking links – making meeting effortless and pushing users to interact offline. With careers in investment management and renewable energy development, the background of founders James Murdoch and St John Hughes couldn’t be further removed from the socially-conscious app space that friendrequest currently occupies. Acquainted through their respective lines of work lead to a meeting at a Central London hotel, where James and St John discovered a shared dismay at the lack of authenticity in social media. This was coupled with the recognition of growing public concern that social media is driving the disconnect between real-life relationships – especially true when considering those seeking new friends in cities, and how this can be surprisingly difficult. With a view to create something to ‘take social offline’, reinstate face-to-face interactions and create genuine friendships, the pair decided to develop and launch friendrequest. Whilst still in its beta stage, friendrequest has already amassed nearly 4,000 downloads, with organic interest demonstrating the demand for an app of this nature amongst its audience.